Take Care on St. Paddy’s Day! As March 17 approaches, people prepare to head out and celebrate St. Patrick’s Daywith their friends and family. They gear up to drink the tasty green ale that numerous pubs serve around the country, without ever giving a thought as to what might come later on that evening. For those who aren’t aware of what St. Patrick’s Day is all about, it’s a day to commemorate Saint Patrick and the coming of Christianity to Ireland. Some refer to it as the Feast of Saint Patrick. This is one of those days that celebrates Irish culture and all of those things that they hold dear in Ireland. Locally the 19th Annual Manchester St. Patrick’s Parade will be Sunday, March 30, 2014 in Manchester NH. 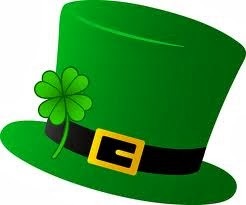 There are a lot of fun things going on this week prior to St. Patrick’s Day Monday. There is a Shamrock Shuffle 5k Run & 1 Mile Fun Run, a St Patty’s day party at Cowabunga’s in Hooksett NH , a Saturday Night Corned Beef & Cabbage Supper and More. For complete list of activities click here. At times, people can end up celebrating far too vigorously. They get caught up in what’s going on around them and often forget about how many brews they have put down. Make sure you keep this in mind when you head out to the pubs with your green shamrock and pound back the pints of green beer. In New Hampshire, the local law enforcement officials are ramping up patrols in efforts to try and catch those who make bad decisions. If you have been drinking, you need to refrain from getting behind the wheel to drive yourself home. No one said you can’t go out and enjoy yourself, but you have to make sure you are doing it in a responsible manner. Heading out and getting drunk is one thing, but getting behind the wheel of a vehicle when you clearly shouldn’t be driving is another. Due to recent changes in New Hampshire DWI laws, getting caught drinking and driving has some serious repercussions when convicted. St. Patrick’s Day is like Christmas for law enforcement officials. They end up catching countless people who choose to disobey the law time and time again. Make sure you have a solid plan in place before you head out to enjoy yourself. For example, bring the phone number of a local cab company or have transportation arranged in advance with a relative or friend who isn’t celebrating the holiday. Getting a designated driver ready to go right from the start is one of the best things you can do. Think about it. The risk of having your license taken away from you is going to cost you money, time, fines, expensive programs, an increase in your insurance policy, impaired driving record and so much more. Is that really how you want to end up after celebrating on March 17? If you find yourself in trouble, you can turn to our team of professionals to help you along the way. Give us a call immediately to discuss what we can do for you and your case. 603-437-2733.